Turn to us and order as per your specific requirement and we will offer you the same! 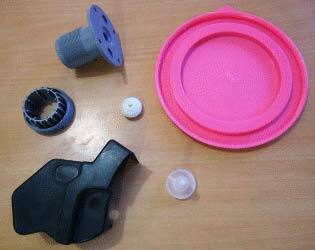 We are a top-notch Manufacturer, Exporter and Supplier of Customized Plastic Components in Tamil Nadu, India. Our team of professionals makes use of advanced machines and latest techniques for their production and bring out the perfect Plastic Component for out esteemed buyers. We make sure that the placed order, be it small or bulk, is delivered within the postulated frame of time.